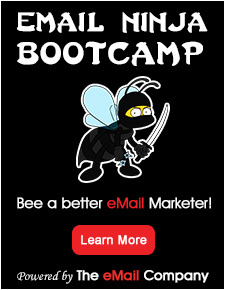 Have you ever experienced the following email marketing scenario? You sign up to receive email from “Company ABC”. They set proper expectations up front around frequency by informing you that it’s a weekly communication. They even provide a link to view a sample of the email. If you are lucky, you get a nice welcome message immediately after hitting submit. So far, so good. 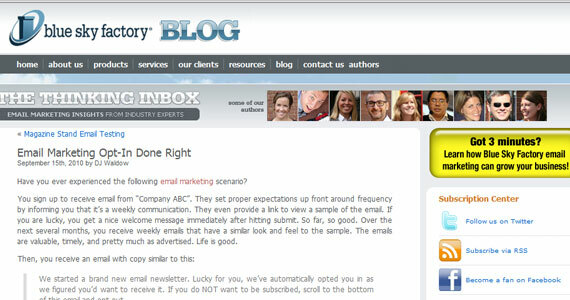 Over the next several months, you receive weekly emails that have a similar look and feel to the sample. The emails are valuable, timely, and pretty much as advertised. Life is good. We started a brand new email newsletter. Lucky for you, we’ve automatically opted you in as we figured you’d want to receive it. If you do NOT want to be subscribed, scroll to the bottom of this email and opt-out. This is an example of a classic “opt-out” email. The email marketer is making some assumptions (that you will find value in an email you never signed up for). Additionally, they are making you, their valued subscriber, work to get off the list (to opt-out).